For years now, people have been chatting through IM, holding video conferences, or just chatting with friends around the world. Over the years, one application has arguably risen to the top of this combative pile. Hundreds of millions of people use Skype because of it's ease of use and wide availability. It's a terrific application (when it works). So with Windows Phone, it only makes sense that a quality app by their in-house team would be available. After having used it extensively for several months, I can say I'm quite pleased with the current version. In the past, the largest issue was that conversations and times would fall out of sync across devices. It was a nuisance that kept the app uninstalled for months. But now I can't go a day without using the app. It's such a convenient way to stay in touch with friends and family. And since it's always running on my phone, I have immediate access to IMs, calls, and video messages even when the app isn't open. 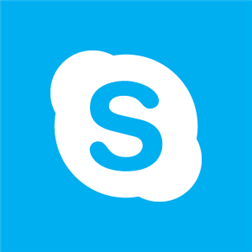 Despite not coming preloaded onto the phone, Skype offers plenty of integration for those invested in the Microsoft ecosystem. Skype contacts easily merge with existing contacts and are readily accessed from the People Hub. With a decent signal or on a WiFi connection, video calls are broadcast in HD. The full bevy of Skype controls are available and the recent addition of video messages is terrific. So with a majority of the bugs worked out, if you have Skype and a Windows Phone, it's time you installed this app. After working with Skype further, I've found several issues which make using the app less than pleasant to work with. The first of which is the delay in sending messages. Despite having a strong connection over WiFi or on LTE, there are inexplicable delays in sending messages out. It doesn't matter if it's only one or a dozen, there are times where the loading wheel hangs at the end of each response, taunting me. And I have yet to find a reliable way of pushing the messages through. Eventually the messages do go through, but it's a major inconvenience to see Skype tripping all over itself when trying to send out a simple message. The second issue is present when sending video messages. Video messages are a relatively new addition to the Skype wheelhouse. They're a fun, simple way of keeping in touch with someone. But much like the text messages, the video messages will hang and take an incredibly long time to process and send out. Unfortunately, that's the best outcome when sending a video message. On numerous occasions, the entire Skype app will crash while processing the video. When launching Skype once more, there isn't any indication that the message was sent out. When the entire app is designed around communicating with someone and they can't effectively, what's the point of the app? Lastly, the third major issue is Skype puts a massive load on the processor. This drains the battery at an astonishingly rapid rate and causes the phone to become very hot. It's almost uncomfortable to hold. So, Skype isn't nearly as perfect as I had first thought. On average, it works. But the glaring issues make it a nuisance to use. Unfortunately, I've yet to find a better alternative. And because of Skype's widespread use, there may not be another like it for some time.